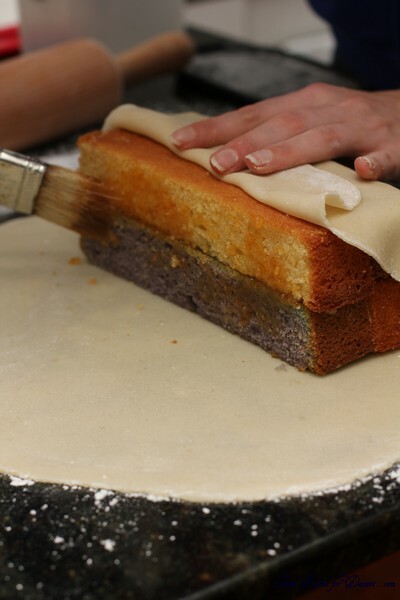 I was just about to go to bed when I thought – what’s the date today – whoops, it’s the day to post our Daring Bakers Challenge for the month. You see, I have been away for most of the month on a two week road trip – which I’d love to post a few non-food related pics soon, and also let you know about some of the great places to see and places to eat too. So it seemed quite far away from when I made this cake at the beginning of the month. 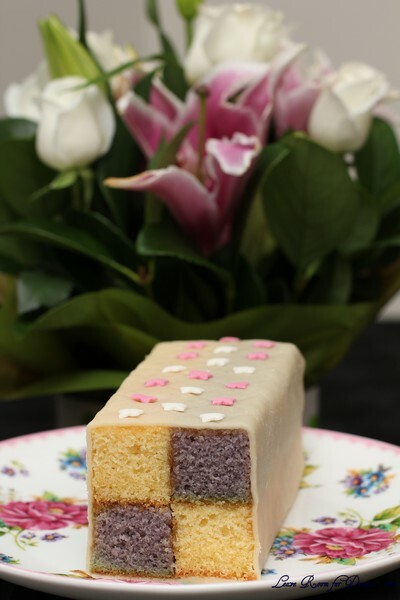 It was extremely fun to make such a pretty cake and also see some of the specialized tins people use to make the Battenberg cake. 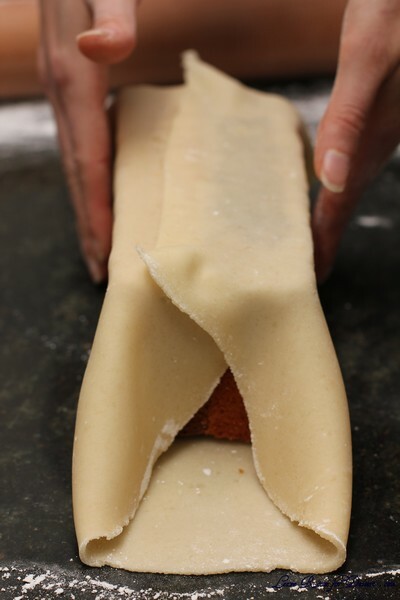 One change I would make is to use something in place or on top of the marzipan. I found the one I bought (which is quite common in supermarkets) was a little see-through and detracted being an off-white colour. 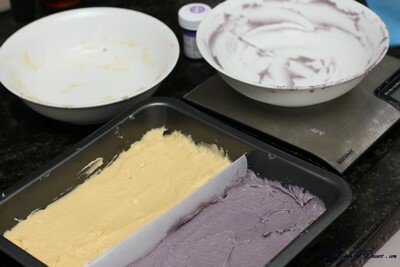 I think a fondant or ready rolled icing may have been nice, or possibly some of the other options given by Mandy. 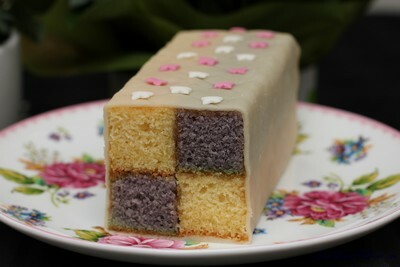 Filed under Cakes, Slices and Biscuits, Daring Bakers, Recipes. You can follow any responses to this entry through the RSS 2.0 feed. You can leave a response, or trackback from your own site. It’s beautiful! 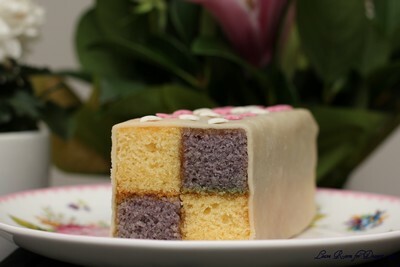 I love the lavender color and your squares are so even! 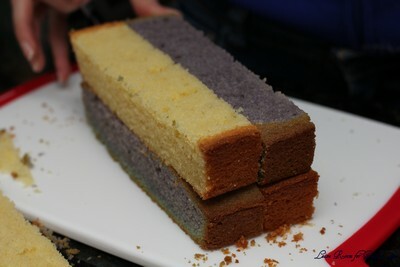 What a cute looking cake, it looks simply perfect!!!!! Your squares are PERFECT 🙂 looks great Anita! Cute cake and well executed. 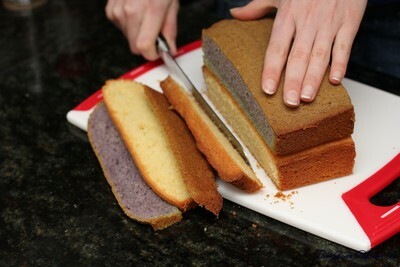 But your cake is purple, did you use a different coloured dye? 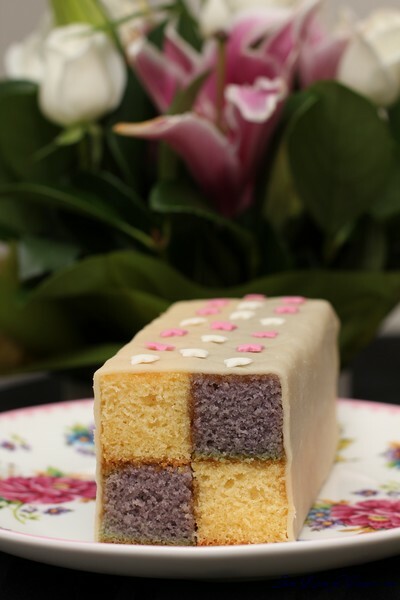 Your Battenberg is lovely! You got the squares beautifully even, which seemed to be one of the biggest challenges a lot of DBers struggled with. Thanks for taking part in the June challenge!